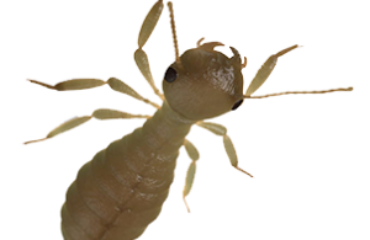 Winter Pest Control Forecast | Any Pest Inc.
Wintertime in Atlanta offers little to no escape from the normal pests that infest homes throughout the other seasons of the year. It seldom gets cold enough here to have a noticeable impact on pest populations. However, we do see less bees and mosquitoes flying around outside once the colder months begin. When temperatures drop, pests have a harder time moving, eating, and reproducing, but even in very cold weather they don’t die off. Instead, the warmth, protection, and shelter provided by our homes tend to attract winter pests to take residence inside. 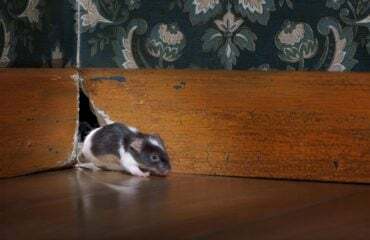 With the cold weather outdoors you will often find pests, rodents and other wildlife hidden in walls or attics seeking shelter and food patiently waiting for spring and warmer temperatures. As homeowners, we oftentimes overlook winter pests such as cockroaches, spiders, rats, mice, and other nuisance wildlife. It is important to understand the different types of pests commonly found and what you can do to protect your home this season. Contrary to popular belief, cockroaches aren’t simply attracted to messy households. In fact, cockroaches move indoors during the winter to find warmth and escape the cold. 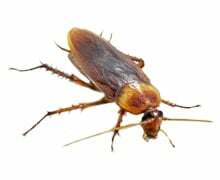 During the cold weather months, it’s more important than ever to create a plan for cockroach prevention in apartments, condos, and other homes. To maintain roach control, your strategy should include eliminating the three things cockroaches need to survive: warm shelter, food, and water. To prevent cockroaches from finding the essentials to survive you should never leave water out, make sure food containers are sealed and properly stored, and clean up food debris and dirty dishes daily. 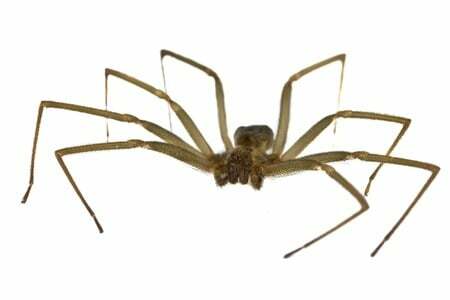 Spider infestations in homes typically increase in the winter because other pests are seeking warmth and shelter inside your cozy home and spiders are following their prey into your home. There are several things you can do to discourage spider webs and nests in and around your home. Keep firewood logs away from the home. Clean up leaves and other debris in your yard and around your home. Caulk or seal cracks and gaps in the home’s structure, especially around foundations, windows and doors. Reduce or remove piles of papers, boxes, and other clutter to reduce potential nesting areas. One of the biggest things you can do to eliminate spiders in and around your home is to get rid of the insects that attract the spiders in the first place. If you remove their food source then you will eliminate any reason for them to stay inside of your home or enter it in the first place. 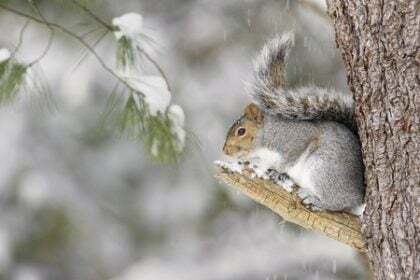 Rodent infestations tend to spike in the winter months. 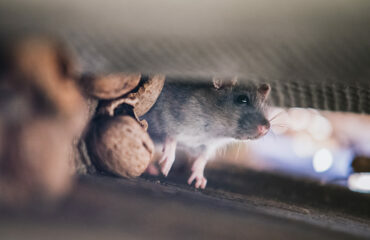 Rats and mice enter attics, crawlspaces, as well as living spaces to overwinter. Homeowners sometimes hear scampering noises in walls or ceilings when rodents enter a home. Homeowners commonly find droppings in and under cabinets or drawers, in closets, and in other out-of-the-way areas. 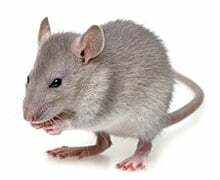 As these cunning creatures destroy your property and potentially expose your family to various diseases such as rat-bite fever, salmonella, Hantavirus, bubonic plague, and rabies; they are rapidly reproducing and building an army to take over your home. Rats can birth up to 12 kittens every 23 days and mice can breed up to 60 mouse pups in a period of 90 days, so it is imperative to take care of this pest problem before it becomes a larger issue. When the temperature begins to cool and food sources become more scarce, nuisance wildlife will seek out a more welcoming environment like your home. Squirrels, raccoons, and bats are a few of the common types of nuisance wildlife likely to enter your home in the winter. They are generally found in attics and basements or in other areas of the home that provide a perfect hiding place. Squirrels and other nuisance wildlife aren’t just looking for a place to hide out for the winter, they are usually using your home as the ideal spot to breed and raise their young. Unlike rodents who scavenge for food within your home, the adult squirrels will leave the home daily to seek food outside then return to feed their offspring daily. Once inside, they build nests and begin to forage for food at night when you are fast asleep leaving droppings, bacteria and other pathogens behind. Winter is a cold season that will keep you bundled up indoors, so make sure that you are not sharing your home burdensome pests or wildlife. Many of these pest infestations come with an increased risk of property damage and potential injury, so it may be dangerous or inefficient to try to deal with it on your own. If your home is infested with any of the above listed pests, contact the pest control professionals at Any Pest, Inc today. We have been servicing the metro-Atlanta area for almost two decades, specializing in pest control and wildlife control. Contact us for a free evaluation for any of your Winter pest control needs.